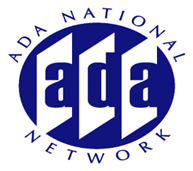 Join us for this annual ADA Anniversary Update from the Equal Employment Opportunity Commission and the U.S. Department of Justice, Civil Rights Division. Representatives will provide updates on current enforcement activities as well as any new technical assistance and training activities from their agencies. Participants will have an opportunity to pose questions to the Agencies as well.